Last week I wrote about how I had won $22,000 thanks to a recent Betfair competition. This week I will explain how I won the Tattsbet (now Ubet) “Awesomely Excellent American Sports Tour” competition that was valued at $17,000. It was an amazing trip and I ended up bringing an extra friend on the trip and the 3 of us had an amazing time. This trip also helped me tick off a heap of bucket list items. We tacked on a few extras as well and went and saw a NHL game, as well as a lot of casinos and bars. Here is the promo video Ubet had made. As mentioned in the last article, I make sure to read the rules a few times to look for any terms that might make it not worth my time but also to try and find any loopholes that may exist. The competition went for the month of November 2014 and was available to any tattsbet customers. There was only one term I was worried about. But as I was not going to break any rules I thought it would not apply to me. 19. Validity of entries: The Promoter reserves the right, at any time, to verify the validity of an entry or disqualify any entrant who submits an entry that is not in accordance with these terms and conditions or who tampers with the entry process. The decision to verify, validate or disqualify an entry is in the Promoter’s absolute discretion. 7. 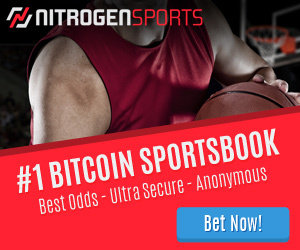 How to enter:To enter, entrants must place a head to head bet on any NFL or NBA game during the Promotion Period using their account via TattsBet’s website or smartphone apps. Entrants can also enter their retail ticket details via the promotion website if a bet is placed in a retail outlet. Additional entries will be counted for every additional head to head bet that is placed. Minimum bet $1, single bets only. All entries become the property of the Promoter. I was already betting on the NBA and NFL as part of my normal betting, but would never bet at Ubet as they offer terrible odds. The key rule from the How to enter section was that for every bet that is placed you get 1 ticket in the draw. The minimum bet was $1. So if I bet $500 or $1 on a game, I would receive 1 ticket. Here was my loophole. I was going to bet $500 on the game anyway, why not split that bet into 500 $1 bets instead and get 500 entries instead of 1. Was it going to be worth my time? The next thing I did was work out if I really had a chance to win it. I had to figure out how many people were likely to enter the competition and how much it would cost me in time and money. To figure out how many customers Ubet had, I simply checked their social media profiles. At the time I believe they had about 3,000 followers on twitter. They were small fry when it came to online betting. The take up rate of competitions like this are usually between 1-5% and 5% is highly unlikely. I estimated that they had around 30-50,000 customers and between 300 and 2,500 people would enter. Maybe 1% of them would really try and win it, so I was dealing with between 3 and 25 real competitors. My numbers told me there would between 10,000 – 20,000 total entries. I believed that my plan of attack would give me an 80% chance of taking out the prize. I had a few different ways I could play this. I knew 100% I would be betting a max of $1 on each bet multiple times. Here were the potential ways I could play it. Bet my normal bets all at Ubet $1 at a time. I would get much worse odds and therefore this would be a real cost. I decided to go with the last option. Any teams under $1.20 I would back as many times as possible. The Ubet system only allows you to bet on the same selection once every minute. I guess this is so there is time for them to move the price if you bet the maximum. There were maybe 5 or 6 teams a day priced under $1.20 and that meant I could get 5 or 6 entries per minute. So for an hours work I could get between 300-360 entries. Not a huge amount for an hour of my time. This is where some basic IT knowledge came in handy. Computers are great at repetitive tasks. All I had to do was show the computer what I wanted it to do and make it repeat that over and over again. In nerd language, this is called a macro. I found some software that would create a macro based on my mouse movements and clicks. All I had to do now was go through the routine once and set it to repeat that after every minute. There were a few issues I needed to work through, but eventually I had the macro working perfectly. I could not use my computer while the macro was running, but as the bets were placed while I was sleeping, that was not an issue. I would head to bed at around midnight, load up the macro bot and it would still be running in the morning when I got up. That meant there was at least 9 hours per day and 3,240 entries. Over the month I would get over 97,000 entries and everyone else combined would have only 20,000. This gave me an almost 80% chance of winning (based on my numbers). 5 days into the competition I received a phone call from a Ubet representative. We had a chat and he let me know that they could see what I was doing and that it “wasn’t in the spirit of the competition”. He said they were happy for me to keep entering but I would only be allowed to place the total amount as one bet. There was no point in doing that so I stopped completely. By this time I would have placed close to 20,000 bets. I assumed they were just going to delete my entries so I didn’t give the competition another thought. I gave it a try and played within the rules but it looked like the jig was up. If my bets stood I now had a 50% chance of winning. A month later I tried to log into my Ubet account and it was locked, it said I had to call to have it reopened. I called up support and she was puzzled why my account would be locked. She said she would call someone and put me on hold. It dawned on me that I had probably won the competition as it was the day of the draw. When she got back on the line she was pretty excited and said “O, it’s good news, let me put you through” and forwarded the call onto someone else. The guy on the other end asked me if I was sitting down and I feigned surprise and happiness that I had won. I was still worried they would say I had broken some terms. But after I got off the phone call I was damn happy. Eventually once the prize was finalised I was able to relax and could really enjoy it. When Ubet relaunched their brand they ran another competition. It seems I had taught them a valuable lesson. The new rules of the competition said a max of 1 entry per person. I know that a few others also tried to game this competition by betting heaps of times at $1 a bet. I doubt they used a macro to do it and had a heap fewer entries. The actual trip was amazing and we were able to witness one of the greatest superbowl endings ever. We were offered over $10,000 for each of our tickets on the day of the game, but an experience like a superbowl is only going to come around once in a lifetime for an Aussie. I will post about the trip soon and how fans thought our bus was one of the teams buses. So that is how I won a $17,000 sporting experience. The key takeaways here were to always read every single rule, break down your potential competition and to maximise your chances of winning by using technology. I’m looking forward to the next competition that pops up as I know a lot of you will be entering. It will make my chances much slimmer but as long as one of us wins, I’ll be happy. It also seems my prior post spurred others into action as I received 5 emails this week from people who won $500 each in the latest Betfair competition. They all said they would never have entered if it wasn’t for my post, that makes me feel pretty good. Brilliant!! Love the idea of Tatts just taking a constant stream of $1 bets on $1.20 pops. Just out of interest how did the bets turn out? Did you show a win or a loss? I honestly can’t remember the final result. I think there was 1 or 2 losses but the other winners easily covered that, so I think I was up a small amount. Well done Steve! 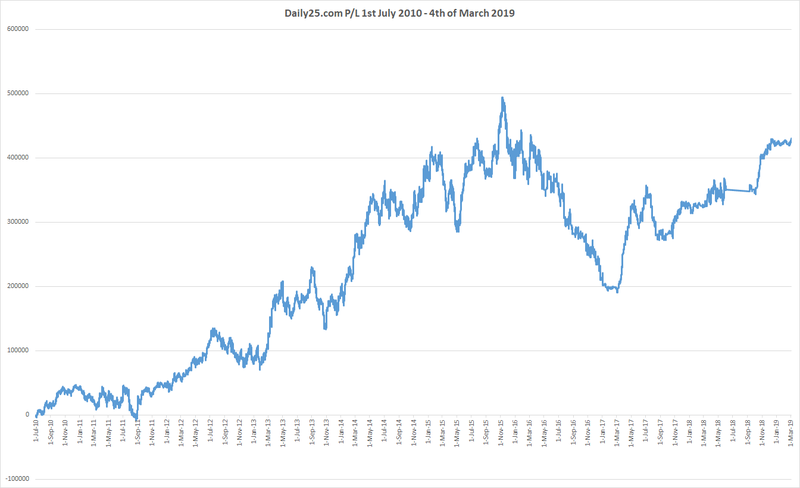 Not being one to be blown away by IT and bots, I’ve got to say I was more impressed with strategy and analysis of the Betfair win. I’ve found UBet often does have the best odds for arbing the longshot. I got to top tier of their rewards scheme by constantly losing with them. Not sure the 0.05% better odds it gives me will be worth it though with bets you want to win…and no doubt they’ll do what TAB did, and kick me out of the rewards as soon as I started winning.